To Loreta Asanavičiūté, activist. From David Harms. 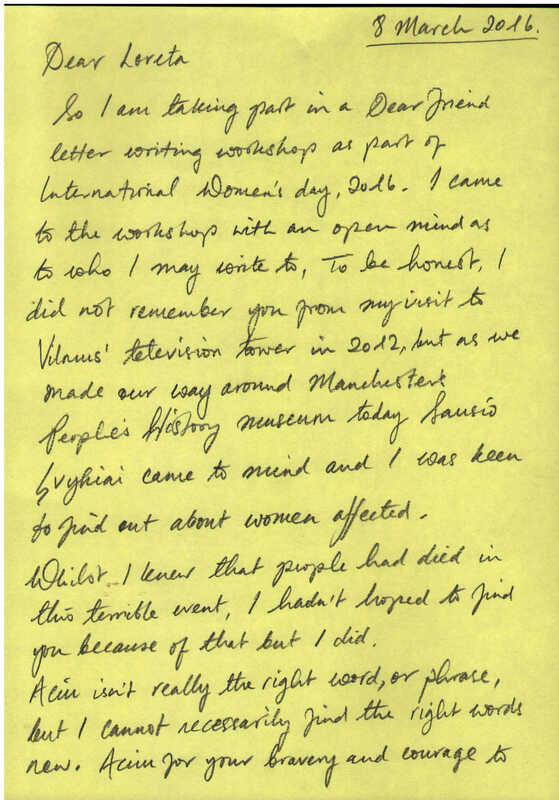 So I am taking part in a Dear Friend letter writing workshop as part of International Women’s Day 2016. I came to the workshop with an open mind as to who I may write to. To be honest, I did not remember you from my visit to Vilnius’ television tower in 2012, but as we made our way around Manchester’s People’s History Museum today, Saisio Įvykiai [January Events] came to mind and I was keen to find out about women affected. Whilst I knew that people had died in this terrible event, I hadn’t hoped to find you because of that but I did. Ačiū [thanks] isn’t really the right word, or phrase, but I cannot necessarily find the right words now. Ačiū for your bravery and courage to go out there that January day to stand up for freedom and what you and many others knew to be right and true. 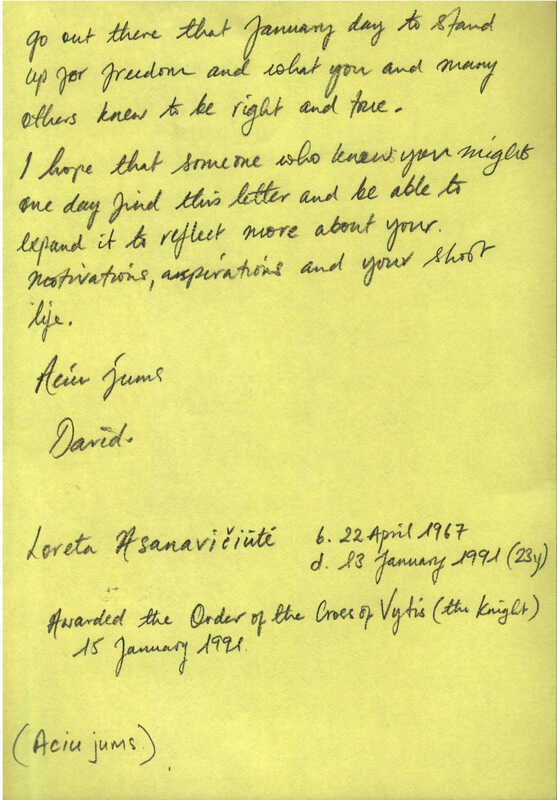 I hope that someone who knew you might one day find this letter and be able to expand it to reflect more about your motivations, aspirations and you short life. activist. Born 1967, died 1991. More information about Loreta Asanavičiūté.